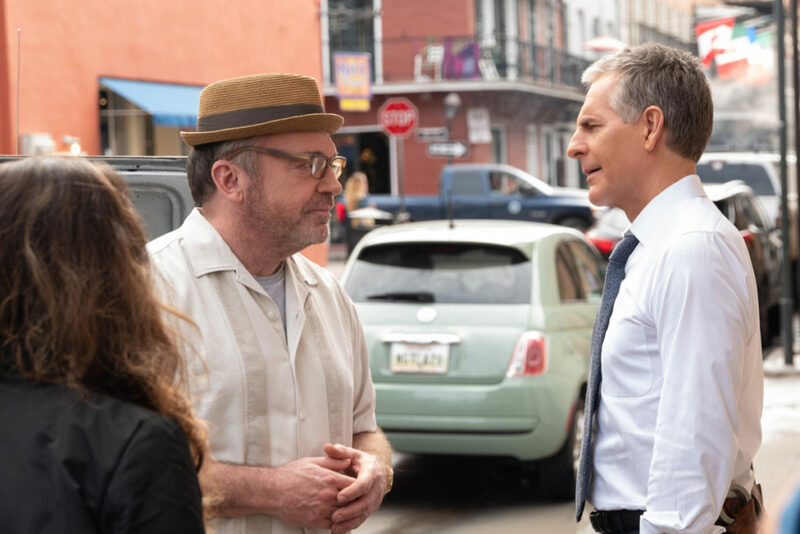 NCIS: New Orleans season 5 episode 20 video: Who is Wendy? As we approach Tuesday night’s NCIS: New Orleans season 5 episode 20, there are many different questions to wonder. Take, for example, whether or not a young woman in Wendy is responsible for committing a crime. Also, why in the world Elvis (Tom Arnold) is trying to help her — and why he is trying to claim that she is his daughter. In the video below for Tuesday’s episode, you actually see Wendy proclaim that she and Elvis are not actually related — so why is he acting like they are if he is really trying to help her? It may just be that she’s like a daughter to him, given that she’s a notable hacker and we know already that Elvis is one of the most-prominent hackers out there. Or, it’s possible that this “daughter” status is something that he is using in order to try and get ahead … even though we’re not entirely sure as to how precisely that would happen in this context. We think that the mystery of who Wendy really is should be one reason to watch, but another one is really just getting Arnold back on the show. NCIS: New Orleans, like so many other CBS crime procedurals, has a good roster of recurring players who they bring onto the show here and there. Some of them are people who could end up being huge components of the series down the line, and some are just used to inject a different energy here and there. Elvis is effective since he doesn’t have all that much in common with a lot of the different members of the team, but there is still a way that he often proves himself to be useful. This is a different way to get to know the guy, and it’s a useful addition to the show in season 5. Because we’ve been dealing with some serious stuff as of late — think Apollyon coupled with some of Hannah’s past — we haven’t had a chance to revisit a lot of familiar faces and their stories as of late. This episode at least briefly changes that. Do we think that Wendy/Elvis’ mystery will be resolved in this particular episode? Probably, but that doesn’t rule the two of them coming back down the line. It all just depends on context and availability — given how many times we’ve seen Elvis on the show already, we do firmly believe that we’re going to have a chance to see this guy back again at some point. Let’s just hope first for that season 6 renewal — while we do think that it’s going to happen, it’s a matter of waiting to see when CBS wants to dish out that green light. For some more information on what’s coming in this NCIS: New Orleans episode, we simply suggest that you visit the link here!